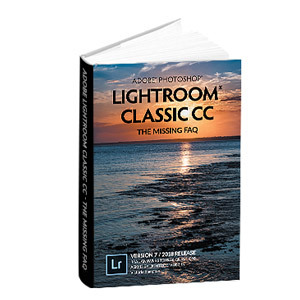 Lightroom Classic Tutorials > Organizing Photos > Import > To DNG or Not to DNG? That is the question! All you NAPP members out there, check the Lightroom section of your latest Photoshop User magazine (March 2009) for MY article on DNG! For those of you who aren’t NAPP members, you’ll want to sign up now!!! DNG files are generally 10-40% smaller than their original proprietary format, depending partly on the size of the preview that you choose to embed. Proprietary raw formats have their XMP data stored as a sidecar XMP file, whereas DNG files have that information embedded within the single DNG file. The question is, do you find sidecar files a pro or con? The DNG format is openly documented, which means that it should be supported indefinitely, whereas proprietary formats such as CR2, NEF, RAF etc. are not openly documented. Will you be able to find a raw converter in 20 years time that will convert a proprietary format when that camera model is ancient history? Most manufacturer’s own software will not read a DNG file, only their own proprietary formats. Do you ever need to open a file in the manufacturer’s own software? If so, you’d want to embed the proprietary raw file – it can be extracted use the DNG Converter tool, however it does negate the file size benefits. While there is DNG support for MakerNotes, some manufacturers don’t stick to the rules, and therefore MakerNotes embedded in an undocumented format can’t always be carried over to the DNG file, however if you’re not sure what the MakerNotes are, you probably won’t miss them. Check the Photoshop User article for lots more pros, cons and how to’s. Read your article in the latest NAPP magazine and found it very informative. What I have not seen written about to any extent is saving the DNG files after precessing in LR. Can you address the full finish to the LR work flow. I know images can be printed, exported, saved as various files but I seem to end up with a lot of images that I’ve spent time editing but right now don’t need to export or print. They are DNG files and the adjustments are stored in the catalog. Even though I back up my catalong on another drive, it seems I’m missing something to finish off this process and it doesn’t seem secure to me to leave them at this stage. It seems I should be saving these images as a completed master in some format so I can resize, sharpen and output as I need. 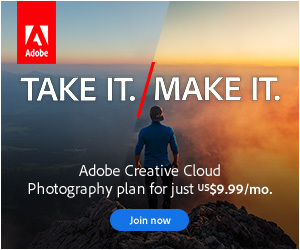 Does this saving process have to be done image by image or can it be done in groups? Thanks for addressing this. Very interesting. I am going to have to delve into this a little bit. Thanks for all the info. I am having troubles when exporting to DNG via LR2. The files I am editing and attempting to export are .CR2 files. My issue is that all of the exported files do not display any of the changes made to them while in LR2. I have done as you suggested to Pat above ie Update DNG Metadata & Preview. Any suggestions would be much appreciated. Does anyone know of a DNG plugin for MS Internet Explorer that would allow me to see thumbnails in IE? This is available for NEF files. I found this very useful, thank you. My question concerns file size. You wrote that DNG files tend to be significantly smaller than their RAW sources (if I read you correctly) but the opposite seems to be happening to me. Here’s my workflow: I import RAW cr2 files into Lightoom 3 beta and then do processing work on them in DxO Optics Pro v5.3.7 for Mac. The RAW file that goes into Lightroom is usually around 23-25mb in size …. when I process it in DxO and import back into Lightroom, however, I now have a DNG file about 70mb big … that’s just way too big for my hard-drive budget. I suppose I can change setting either in DxO or Lightroom to save a smaller version of the file, but does that mean I am saving at a lower quality? I don’t want to do that either! (that’s why I’m trying to get away from jpegs.) Any advice much appreciated. Thank you very much for that answer — looks like I will have to stick with JPEGs only as output when doing RAW processing in DXO. Sounds like it would still be a good idea to convert all my raw files to DNG within Lightroom, though. Think I saw an explanation somewhere about how to do that in batch. Will do! And will report back if I learn anything interesting — or disturbing. Most grateful for your help!